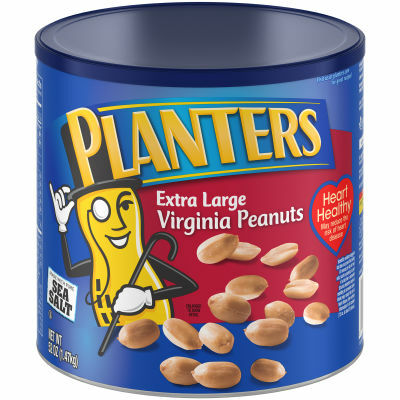 Planters Extra Large Virginia Peanuts deliver offer quality flavors that come exclusively from natural ingredients. Made with just peanuts and sea salt, these peanuts boast the classic taste you have grown to trust. - Each peanut is carefully picked and seasoned with sea salt to enhance its natural flavor A customer favorite, these Planters peanuts are a delicious snack for any occasion. This package includes one 52 oz canister. Serving size 1oz (28g / about 34 pieces).